After Google acquiring the Motorola Mobility, their first financial report is out. Though Google hasn’t find any time to show anything significant but Motorola shows there are right on the track. Motorola released a few new details about the progress of the company's acquisition. It announced that it will hold a meeting with stockholders on November 17 to gain approval of the Google merger, and pending antitrust clearance by the US Department of Justice, the EU and several other government entities expects to close the transaction by the end of this year or early 2012 at the latest. The company reported total net revenues of $3.3 billion; precisely the same amount earned last quarter, incidentally, and up 11 percent from this time last year; and a GAAP net loss of $32 million. While the number may put frowns on a few faces, it's still an improvement from Q2's loss of $56 million, and more than half ($18 million) of the losses were attributed to expenses from the Google acquisition. Mobile device revenues are up 20 percent year-over-year and 11.6 million devices were shipped, including 4.8 million smartphones and 100,000 Xoom tablets. Now time for the Press Release. Non-GAAP net earnings of $0.12 per share compared to net earnings of $0.13 per share in third quarter 2010; GAAP net loss of $0.11 per share compared to net loss of $0.12 per share in third quarter 2010. Mobile Devices revenues of $2.4 billion, up 20 percent from third quarter 2010; Non-GAAP operating loss of $15 million; GAAP operating loss of $41 million; Shipped 11.6 million mobile devices, including 4.8 million smartphones. 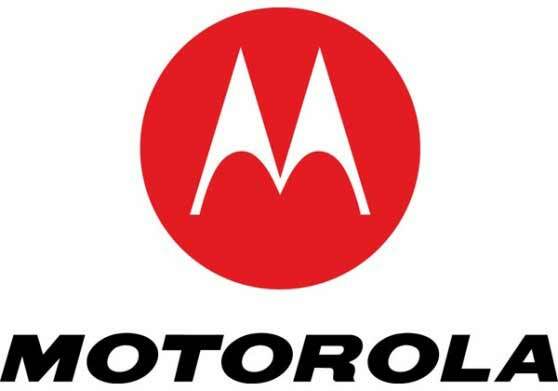 Motorola Mobility Holdings, Inc. (NYSE: MMI) today reported net revenues of $3.3 billion in the third quarter of 2011, up 11 percent from the third quarter of 2010. The GAAP net loss in the third quarter of 2011 was $32 million, or $0.11 per share, compared to a net loss of $34 million, or $0.12 per share, in the third quarter of 2010. On a non-GAAP basis, the net earnings in the third quarter of 2011 were $35 million, or $0.12 per share, compared to net earnings of $38 million, or $0.13 per share, in the third quarter of 2010. Total cash at the end of the quarter was $3.3 billion and includes cash, cash equivalents and cash deposits. Operating cash flow was $25 million for the quarter. Details on non-GAAP adjustments and the use of non-GAAP measures are included later in this press release and in the financial tables. "Our third quarter revenues in Mobile Devices increased by 20 percent, driven by continued strong growth in international markets. With the recent launch of our iconic Motorola RAZR™, we now have several 4G LTE devices in our portfolio. Our Home business is creating innovative solutions for our customers, taking leadership in the transition to all-IP networks, and delivering solid levels of profitability," said Sanjay Jha, chairman and chief executive officer, Motorola Mobility. "We are also excited about the proposed merger with Google and continue to make progress to close this transaction." Mobile Devices net revenues in the third quarter were $2.4 billion, up 20 percent compared with the year-ago quarter. The GAAP operating loss was $41 million compared to an operating loss of $43 million in the year-ago quarter. The non-GAAP operating loss was $15 million compared to operating earnings of $3 million in the year-ago quarter. The company shipped a total of 11.6 million mobile devices, including 4.8 million smartphones and approximately 100,000 Motorola XOOM™ tablets. In the third quarter of 2010, the company shipped 9.1 million mobile devices, including 3.8 million smartphones. Announced global launch of the iconic, ultra-thin RAZR smartphone, featuring sculpted glass face, diamond-cut aluminum accents, KEVLAR® fiber and vibrant 4.3-inch super AMOLED Advanced display. Announced award-winning Motorola ATRIX™ 2, offering enhanced entertainment experiences with dual-core processor, full 1080p video capture and free app for music and pictures. Unveiled MOTOACTV™, the new lightweight, wearable fitness performance tracker and smart music player rolled into one. Sync MOTOACTV with your PC so you can check out the music you perform to best, or track your workouts over extended time periods, set goals and even create workout competitions with your friends via the MOTOACTV Web Portal. Shipped DROID BIONIC™, combining dual-core 1 GHz processor, 1 GB of RAM, 4.3-inch qHD display and webtop application with 4G LTE speeds. Rolled out 4G LTE upgrade to existing Motorola XOOM customers to enhance the tablet experience with faster speeds and connections, and announced the Motorola XOOM Family Edition tablet, preloaded with family-friendly software including KidZone by Zoodles and MotoPack by Motorola. Home segment net revenues in the third quarter were $825 million, down 10 percent compared with the year-ago quarter. GAAP operating earnings were $54 million, compared to $49 million in the year-ago quarter. Non-GAAP operating earnings were $77 million, the same as in the year-ago quarter. Set-top shipments were down 3 percent compared to the year-ago quarter. 4Home software platform chosen to power Verizon's new Home Monitoring and Control service in North America for the smart, digital home. Introduced family of advanced video processing technologies to drive bandwidth efficiency and video quality in the European market, including the SE-6000 video encoder and the ST-6000 transcoder. Expanded Internet Protocol (IP) growth and leadership in Russia, extending IPTV set-top rollout with leading telecom provider, Vimpelcom Ltd. Selected by Henan Cable to deliver Video On Demand and Network Digital Video Recording services to its 3.6 million subscribers in China, using M3 Media Server family. On Aug. 15, 2011, Motorola Mobility Holdings, Inc. and Google Inc. announced a definitive agreement for Google to acquire Motorola Mobility. The transaction was unanimously approved by the boards of directors of both companies and is subject to customary closing conditions, including various regulatory approvals, and the approval of Motorola Mobility's stockholders. Motorola Mobility will hold a special meeting of stockholders on Nov. 17, 2011, to seek stockholder approval of the proposed merger with Google. The record date for determining the stockholders entitled to vote at the meeting is Oct. 11, 2011. Antitrust clearances will be required in the U.S., by the European Commission, and in Canada, China, Israel, Russia, Taiwan and Turkey. Regulatory filings have been submitted to the appropriate regulatory body in each of these jurisdictions. In the U.S., Motorola Mobility and Google have each received a Request for Additional Information and Documentary Material (commonly referred to as a "second request") from the Department of Justice. Subject to the satisfaction of customary closing conditions, including antitrust clearance, the transaction is expected to close by the end of 2011 or early 2012. The failure to meet the closing conditions or other factors outside of our control could delay the transaction or prevent the companies from completing the merger. Third quarter 2011 GAAP results include approximately $18 million of expenses attributable to the planned merger. These costs are included in Other Charges on the income statement. Third quarter results presented on a non-GAAP basis exclude these expenses. For more information on the proposed merger, please visit http://investors.motorola.com.